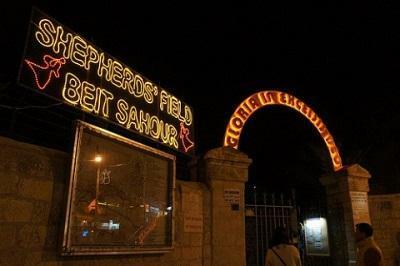 Being the birthplace of Jesus, Christmas celebrations in Bethlehem are extensive with Christmas lights decorating the streets, nativity scenes and Christmas plays being performed. On Christmas Eve the main procession to the Church of The Nativity in Bethlehem is led by a group of horsemen on Arabian horses and followed by a lone rider on a black steed bearing a cross followed by Clergymen and Government officials. The procession enters the Church and places an image of the Holy Child inside. They continue from there down to the grotto of the Church to the spot where Jesus was born that is marked by a silver star. Thousands of locals, visitors and tourists gather around the doorway of the Church and on the rooftop to watch this striking procession. There are also many other processions led by a variety of Christian denominations including Catholic, Protestant, Greek Orthodox and others, most of which pass through Manger Square. It is usual for Catholic Services to take place in St. Catherine’s Church and it is not uncommon for Protestant services to be held at the Shepherd’s Fields. 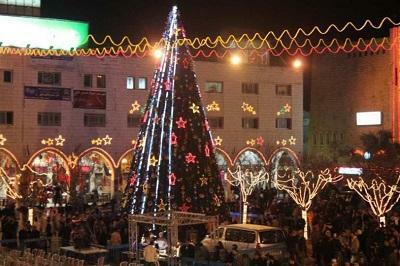 Christmas celebrations in Bethlehem continue over an extended time period starting of course on December 25th and continuing on until January 18th which is the date of Christmas celebrated by Armenian Christians, with the Orthodox Christmas Date celebrated in between these dates, on January 6th. 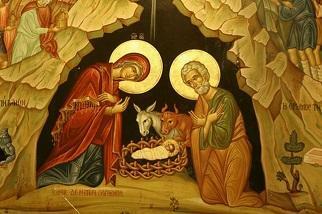 Celebrating Christmas in Bethlehem and all around the Holy Land is a joyous and uniquely spiritual experience for Christians of all denominations. 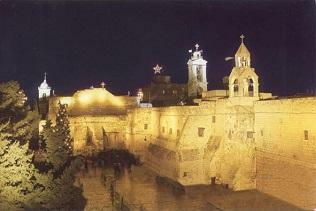 We offer a special Christmas Tour of the Holy Land which includes Christmas Eve celebrations in Bethlehem. Click here for more information.